In the earlier days of his ministry, Rob Bell was invited to speak several times at Willow Creek in NW Chicago. Six of those messages were bound as an audio collection, Rob Bell Teaches at Willow, which I happen to own. Because Bell’s ministry was founded on a one year exposition of Leviticus, he chose one time to speak about the scapegoat (on which is placed the sins of the people.) Bell asked for, and got a live goat as part of the presentation. To the best of my knowledge, he did this presentation there on two different occasions. (I say this because I had one on cassette and one on CD, and they’re different.) One was for leaders which was followed by a behind-the-scenes (or Director’s Cut) discussion of his own sermon. He joked that in requesting a goat, it wasn’t really a big deal since Willow probably had a whole department for that sort of thing. That proposition has stuck with me to this very day: The idea of a megachurch like Willow having a person on staff for live animal procurement. It also occurs to me now that perhaps if LifeWay had offered goat rental, they wouldn’t be in the position of having to close all their stores. For remaining Christian bookstores, it’s not too late. 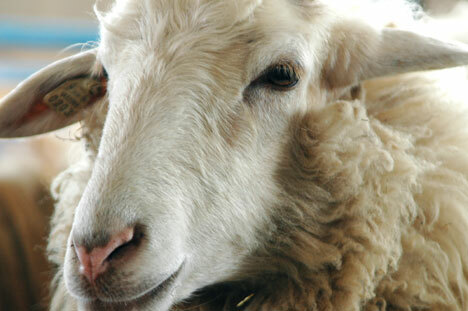 You might have missed out on donkey rentals for Palm Sunday, but there’s still lots of time between now and Christmas to get into sheep rental. 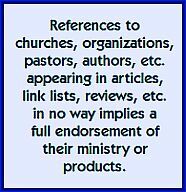 Also, in the summer many churches abdicate the preaching of the gospel in favor of promoting the local football teams, many of which have animal names or mascots. And since churches are also up to their necks in politics, let’s not forget the animal symbols of the two major parties. Just be sure to pay your sources on time. An overabundance of financial obligations involving live animal rental is the beginning of what brought down The Crystal Cathedral. That’s actually true, look it up. I don’t understand why people who are enjoying great teaching podcasts don’t simply continue enjoying them as a supplement to their weekend church diet. You can go to [insert name of preacher]’s church if you want, but it’s going to be a long commute. Some people have a unique communications gift and others have a particular perspective on the scriptures, but you’re not going to find that within an hour commute from where you live. Your local church has other things to offer. Stay involved, but keep enjoying the podcasts also. Your pastor’s sermon is a very small part of everything that’s going on at that place of worship. 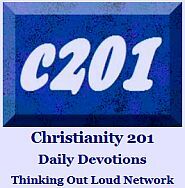 Every denomination has a certain vocabulary when heard for the first time sounds richer, deeper, more meaningful. There’s terminology used in Charismatic/Pentecostal churches that you simply don’t hear elsewhere, but that’s equally true of Episcopalian/Anglican churches. Perhaps you’re ready for a new adventure, but don’t make a major change just because another pastor’s lexical set sounds more spiritual. Statistically, the restless are not committed to an area of service. It does change your view of the church. On the other hand, not serving makes it really easy to leave. Also, saying you’re “not being fed” is the ultimate expression of a passive attitude toward church involvement. In other words, it might reflect a misunderstanding of what it is we’re supposed to be doing at weekend worship services. Underlying the “not being fed” comment is often a greater level of spiritual unrest. There’s a “statement behind the statement” that’s not being voiced. Something has created that restlessness and you’re wanting to bail out not because of pull factors from some other expression of Christianity, but some push factors leading you toward the exits. All the exits. This attitude will not propel you to another church, but rather to what some call Bedside Baptist, the church where you don’t have to get dressed or start the car. Rather than follow this path, perhaps there are ways you can deconstruct and then rebuild from within the church you’re now attending. Perhaps there are others who feel the same. Possibly there are people there who have been through what you’re experiencing but decided to stay regardless. If you really feel that you’re not being fed it is indeed possible that your pastor isn’t including enough protein, carbs, healthy fats, etc. in his weekly sermon menu. It may indeed be time to move on. If so, try to do it peaceably and try to maintain friendships. The plastic binders were a classier way to store them, but some of us simply threw our teaching tapes in boxes. I had boxes of them. Perhaps you did as well. We would go to those huge Christian music festivals on Pennsylvania dairy farms — back when the headlining speakers had equal billing with headlining musicians — and come back with bags and bags of the things. Heck, people would set up booths vending tapes for speakers who weren’t even appearing at the event; such was the hunger to collect and listen. In the land before live streaming of church services, sermons on demand, and podcasts, this was how you immersed yourselves in the tapes of your favorite Bible teacher and introduced his (or her) core message to your friends. I got to thinking of this today because the Saturday Brunch column at Internet Monk mentioned a series that Michael Newnham is running on the history of Calvary Chapel. (I’ve stolen that and reproduced it at the end of this article.) I had a friend who owned the complete — don’t know how many hundred — set of Chuck Smith preaching his way through the entire Bible. The things came in large wooden cases and covered an area larger than a pool table. He was moving and I had hoped that I would be the beneficiary of that move, but instead another mutual acquaintance was gifted them. For years, that really bothered me. Today, I would have nothing to play them on. There’s one cassette player left in the house and it’s not going to last much longer. Besides, I have moved on to other teachers and doctrinal perspectives. It’s hard to believe right now, but it’s possible that before long the term “internet” will come to mean something quaint or ancient. A lot of teaching content has been uploaded in forms that the future may render obsolete. Sometimes people would trade teaching tapes the way one might trade expensive, collector’s baseball cards. I like that because it placed a value on the teaching. Or we would simply share them with friends back home unable to make it to the event. And don’t miss the aside comment in the second paragraph, above. The teachers really did receive equal billing to the musicians. We drove those miles in the camper or station wagon because we were looking forward to the sermons we would hear along with the concerts we would here. Equally. I can honestly say I was truly changed by some of those teachings. Several months in, I have to say that I’m enjoying Twitter. But I also despair over all the things the new technology has wrought in terms of reducing literacy. Twitter forces us to compress a message to 140 characters; usually Tweets are sentence fragments. Texting forces us to compress words, resulting in thngs which aren’t really wrds at all. Facebook tends to be absorbed with the minutiae of our lives, with little regard for the interest others might have in such trivia, hence a major loss of depth. Left to continue for a generation, we may forget how not to be shallow. Tumblr and Pinterest rely entirely on visuals. So while it’s true that a picture is worth a thousand words, a picture replaces a thousand words. I don’t buy a second car and write about the year, make and model, my trip to the dealer, or who owned the car previously, or why we needed it; I simply post a phone-quality resolution photo with the caption, “Bought this today.” Yes, but what is it? That said, isn’t it interesting that the cell phone or mobile phone, designed for communication now contains a camera? What does this say about our preferred mode of transmitting our thoughts and informing others as to our activities? A culture of “copy and paste” means we often parrot the words of others without personalization. We re-Tweet, re-blog and regurgitate what a few key communicators are saying without including any personal editorial comments, to the point that often others wonder if we’re agreeing or disagreeing. What verbal communication that remains tend to be more oral than written. We are rapidly moving from literacy to orality, not unlike many more primitive societies in remote parts of the world. 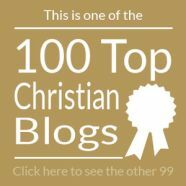 What does all this mean to those of us whose priority in life is to follow Christ? Attention spans are being rapidly diminished; we need to rethink all manner of Christian communication, both in terms of online activity, but also simple things like how preaching happens or how small groups are led. At the same time, we have to be willing to contribute to the glut of communication taking place. We have a message to bring, a message we want shared. We need people to construct eye-arresting visuals (both static images and motion video content) that communicate the truth of scripture. We need to engage a greater use of story to capture the attention of people over the duration of longer narratives. We need to affirm our position as readers, the thing that separates us from animals. Therefore we need to model this for our children, and then having set an example, keep our kids supplied with age-appropriate books of all kinds, both fiction and non-fiction, faith-focused and general-interest. Similarly, we need to passionate about thought about ideas. We need to allow ourselves immersion into what key writers and leaders are saying. Everyone writing online needs to practice a greater level of concision. This is somewhat related to the first priority; we need to get our message across more efficiently. While the message of the Gospel is simple enough that we can receive it as a child, we need to be careful not to lose an appreciation of the intricacies and complexity of scripture. We need to approach God’s word as a multi-faceted jewel and examine at different angles to see the refractions and reflections it produces. 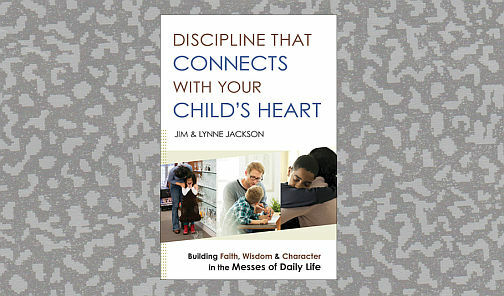 Last weekend our church hosted a parenting seminar with Jim and Lynne Jackson from Connected Families and authors of Discipline That Connects With Your Child’s Heart. I was unable to be there, but the Jacksons stayed over for the Sunday morning service and shared some of their principles which have broader application to the church as a whole. Jim admitted upfront at one point that he was going to go off script, and Lynne confirmed that the Sunday teaching we saw was not their usual fare, but to me it mattered little. What impressed me was the dynamics of watching the interaction between the two of them, as opposed by the presentation by a single speaker which we normally get at church services. My mind tends to wander, though I need to offset that by saying that by the end of Sunday, I had listened to six sermons. However, this change in homiletic paradigm had me on the edge of my seat. The message took on a different energy and a different life. I’ve stated this before, but I’m convinced that all the various technologies and social media have wreaked havoc with our attention spans. If you want to connect with people, you need to reinvent the wheel, opting perhaps for three 10-minute mini-sermons instead of the current 30 minutes. Or consider tag team preaching. Celebrate the good things taking place at your church. Try to keep a focus on the strengths, rather than the weaknesses of the people in leadership. Rehearse those things in your mind and in conversation with family and friends. Remember some moments where your church really stepped up its game and made a difference. Develop a positive, wholesome attitude toward things in general. Hang out with people new to your church, especially new believers. What a breath of fresh air to spend your fellowship time at church with people who haven’t developed negative attitudes; people for whom everything is new, and fresh, and exciting. These people are the fresh blood which keeps the church functioning at its best. They may also have questions and answering those will keep your mind from going in other directions. Make your comments as constructive suggestions. The best way to do this is to ask questions. What if we did this differently? Or, What if we offered ______ an opportunity to take the lead on that segment of the service next week? Or, What if we had the youth group handle worship one week? While you don’t want to overdo this, it is less threatening than to make overt complaints and express overt dissatisfaction without offering anything as an alternative. You might just need a break. If you visit another church and find they’re doing everything perfectly, at least you’ll have a perspective or an authority to make suggestions. (Or maybe even a new church home.) Chances are however, that your church has some things it does better, and the other church has its own issues which, while different, are equally important to people there. Put your name forward for a leadership position. Six months of elders/deacons/board meetings might open your eyes as to why things are the way they are. You may find the issues are far more complicated than you realized. Don’t lose your idealism, but try to gain an understanding of how process works in a local church and how to bring about constructive improvement. Avoid taking a leadership position. Yes, I know. The opposite. It may be that you’re happier putting some distance between you and the things that tend to upset you. Perhaps changing diapers in the nursery or serving outside on the parking team would be more satisfying right now, both to you and the people who may have been caught in a rant or two. Those are a few suggestions. Can you think of any we’ve missed? You’re noticing all manner of technical things involving the worship music; everything from audio levels, to the competency of the musicians, to the song choices. As the sermon progresses you find your brain, which should be absorbing the message, is more in the mode of critiquing the delivery, clarity, depth, application, etc. Try as you may, you can’t stop analyzing everything that’s going on. Maybe you know too much! Here’s the question — because I already know some of you who are readers here do this — I want to ask: What percentage of people who are also among you in the congregation are also doing this? I’d like to think in the case of music that the worship leaders (or people who actually do these things but are on a Sunday off) only number about 5% of the total congregation. Idealistic? Absolutely! Certainly the critical remarks you sometimes hear in the church lobby are based on significant numbers of people who have been treating the thing as though the pastor or worship team are contestants on a reality show. But I might be wrong. 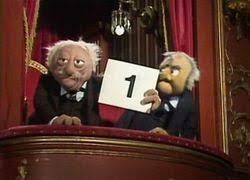 Perhaps like Statler and Waldorf everyone has detached themselves from the prayer or worship or sermon and is filling in their scorecard. That would be tragic, though some might argue a consequence of a consumer-focused church where the congregation is more of an audience. I think there are ways to combat this mentality, but first, I want to hear from you how prevalent it might be. I’m told that doing crosswords keeps the mind sharp. That’s certainly a valid goal. I try to do a couple of smaller ones (where I know I can finish) each week, but will also help my wife as she wrestles through the New York Times level of difficulty. When we first married, I would criticize her for this indulgence, as I saw them as a bit of a time-waster. “You’re not actually learning anything;” was the thrust of my argument. And it’s true. Unless you doing research to get the answers, or something reveals itself by interpolation with the letters you’ve already written, there is not much in the way of new information. Sermons are like this in many churches. We are often reviewing and being re-presented with information with which we are already quite familiar. Maybe it’s being said in a fresh way and we can then take that particular tact when explaining something to a friend. Perhaps it’s something that needs reinforcing because we do live at the intersection of this world and the world to come and there is a constant inner war raging between our human nature and the nature that was made for higher things. Generally, this is a good thing. The Eucharist itself is the best example of this. It doesn’t change much from week to week. But we eat, we drink, we remember, we leave differently than we entered. The hymns or worship choruses are not necessarily new; we have sung them on other occasions. Second best are those who help you fill in the blanks. Like the crossword puzzle where you’ve filled in all the letters but didn’t know the word before, the speaker leads you to the moment of, ‘Okay…so if all these things are true then from that we realize that…’ I would rank sermons that contain deduction a close runner up to those providing fresh information. Personally I gravitate to teachers giving me more background (context, word study, related passages) than I had when I arrived. It doesn’t matter if the sermon is exegetical (expository) or topical, as long as there is some depth and something I can learn that helps me better understand the ways and mind of God, and then apply this to everyday life. It thereby highly focused his attention on what it was that would fill the rest of the page. More detailed notes followed later on other pieces of paper. Much of public speaking is modeled for us. The job of preacher is similar to the job of school teacher. These occupations are self-perpetuating. That’s why it’s easy for kids to “play school” in the summertime, and Christian kids can equally “play church.” We’ve seen the job played out for us on a regular basis and can emulate the key moves. The problem is that just because you are a good speaker, doesn’t mean you are a good communicator. Furthermore, I would argue that being highly skilled or highly polished at the former can actually work against the latter; it can stand in the way of being an effective communicator. Another of the pastors I worked with and still get to hear on a regular basis is a very gifted in the art of sermon crafting. But at several junctures in the sermon, he will allow himself to deviate from his notes, or what I call going “off road.” Whether or not you call it Holy Spirit inspired — and I would contend that most definitely is the case — he either thinks of something that could still be added to the notes, or you could phrase it that he is still crafting the sermon to perfection even as he stands in the pulpit. There are no PowerPoint graphics that align with what he’s saying, but these are often the sermon highlights. I also am a fan of conversational delivery; where the pastor is working from very rough, point-form outlines and then delivers the message in a style that suggests he’s talking to me, not simply reading his notes. Don’t get me wrong. I want there to be sermon preparation. I want to know context; I want to hear related texts mentioned; I want to know he or she did the necessary word study. But what do I do with it all? How does it impact the week I’m facing? How do leave the building changed and inspired? To repeat, so much of what we call good preaching is too smooth; it’s too slick; it’s too polished. It’s so rhetorical minded that it’s no relational good. It’s possible to be a great speaker but actually be a terrible communicator. If you didn’t catch it last week, be sure to read Thursday’s article on the related art of concision, the gift of being able to keep things short. Church sharing times should never begin with a request to "keep it short" because short is a relative term; to Mrs. Talespinner it means anything under 20 minutes. But when I speak of it as a dying art, I’m thinking specifically of the migration of many bloggers from what I’m doing now — typing/writing words — to podcasting; and to Twitter’s decision to gift everyone with 140 additional characters on Tuesday evening. I can’t say what I have to say in 140 characters. In case you missed it, I tend to write long. I have for a long time questioned how much time sermon has left. With all due respect to those of you currently honing your homiletic craft at either the undergraduate or graduate level, I really think that this particular form is destined to go the way of the CD or the land line phone. I’m not saying there aren’t some great preachers out there; I spend my evening hours listening to sermon after sermon online. But that’s me. For others there are a host of reasons why sermon doesn’t work. ADD or ADHD comes to mind. Some sermons are simply too long. Some say it’s just not how they learn. Some claim that high profile Christian pastors have simply set the bar too high and average pastors can’t achieve the quality that is now widely available online. Others would argue that we’ve become accustomed to media bursts, sound bites, and increased concision. A reader wrote, “We’re told… at his ascension that he will come again in like manner as they have seen him go.” But what do we know about that manner? How long were the disciples staring as he rose into the sky? Was there a low cloud ceiling that day? The Bible’s tendency to brevity and concision makes me think that perhaps God didn’t just beam Jesus up, but his ascension may have have been more prolonged; a vertical processional to heaven. I also think that, when considered in the light of the Jewish appreciation of the scriptures as a great jewel that reflects and refracts the light in infinite ways each time we look at it, the idea of trying to formulate a precis of the Bible is to venture into an endless and perhaps even frustrating mission. What would Jesus think of trying to consolidate something so great, so wide, so high, so deep into a finite number of words? Concision is great, but maybe it doesn’t work here. Anyway Twitter, thanks for the extra characters; but I earnestly hope I have the wisdom to not overuse them. Readers, it’s a busy world out there; keep it short! Yes, today I basically quoted myself throughout this article. To further embellish Chomsky’s teaching on concision would have made the article…well…not so concise. For those mystified by the final graphic image, TL/DR stands for Too long, didn’t read. For further reference in thinking about the difference between podcasting and blogging, this article is less than 1,100 words; you can halve the minutes in the above example.